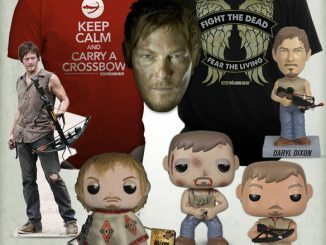 Who wants to take Norman Reedus home? 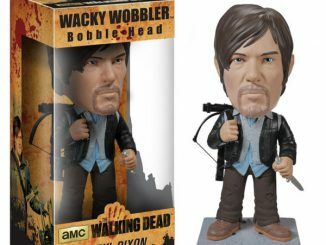 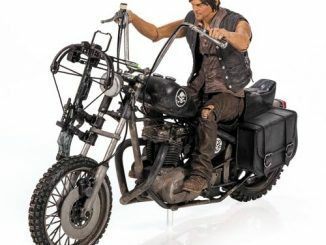 You can with the Walking Dead Daryl Dixon 10-Inch Deluxe Action Figure, and you don’t have to worry about any pesky kidnapping charges when you do it this way. 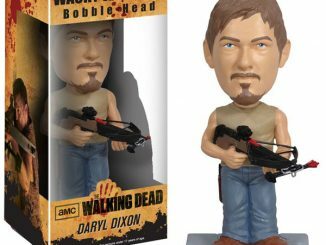 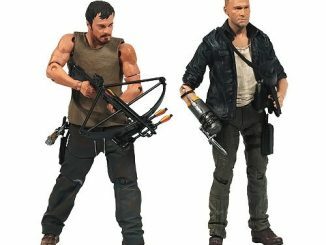 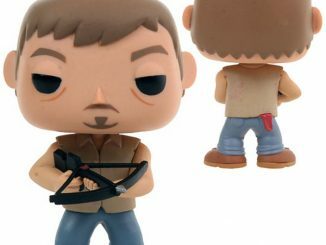 Daryl Dixon AKA The Guy You Want To Be With During a Zombie Apocalypse has a brand-new look with this deluxe action figure. 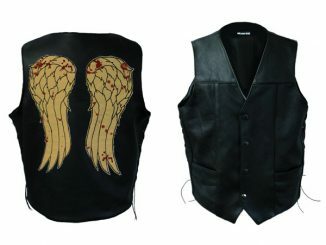 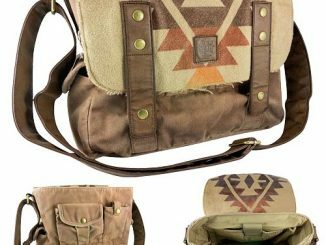 You might have included the earlier version of Daryl in your Walking Dead collection but this new version of the character is looking pretty sharp in his iconic angel wings biker vest and removable poncho. 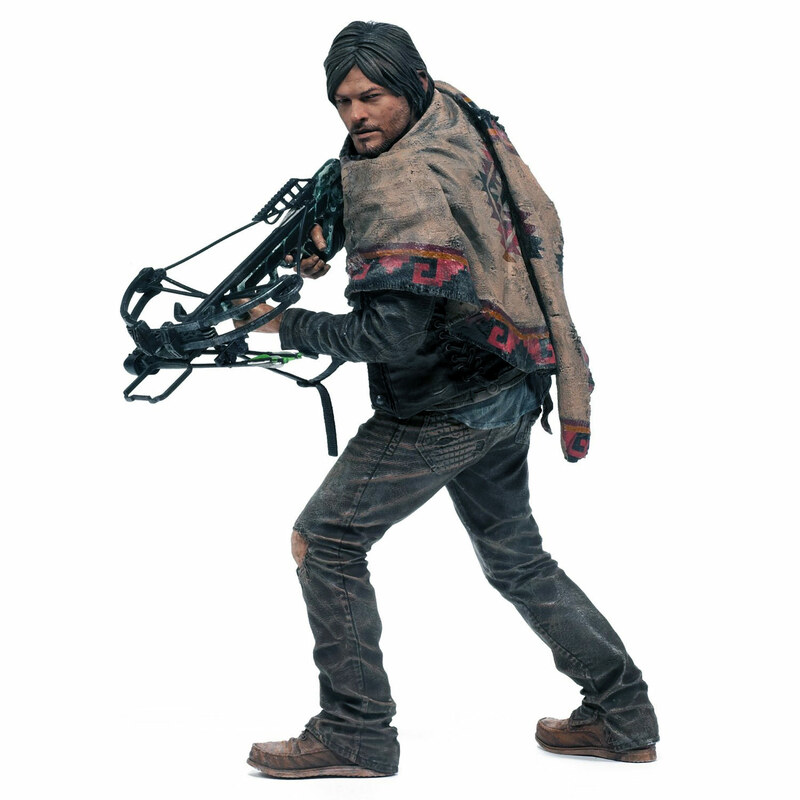 Seriously, don’t you think poncho-makers around the world are falling to their knees and giving thanks to Norman Reedus? 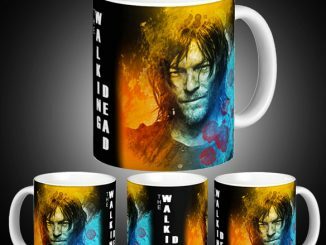 Sales must have at least quadrupled. 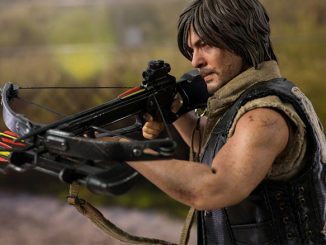 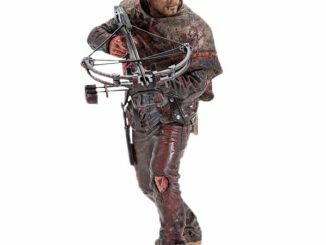 The 10-inch figure, which features the exact likeness of the actor, also comes with a hunting knife and crossbow. 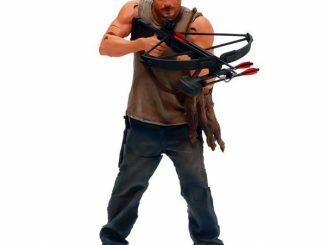 The Walking Dead Daryl Dixon 10-Inch Deluxe Action Figure will be available November 2013 but can be pre-ordered now for $32.99 at Entertainment Earth and for $34.99 at Amazon.com.